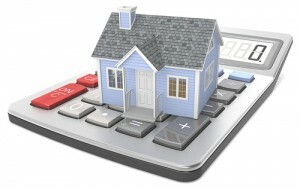 Curious about how rate changes may affect your home buying experience? Higher rates may result in adjustments needing to be made on the amount of loan you qualify for, so be sure to discuss your individual situation with a lender, so that you are aware of the options available for your home. Recent rates released in the Primary Mortgage Market Survey(R) (PMMS®) continued to come in relatively high, due to market speculation that the Federal Reserve may reduce future bond purchases in response to June’s strong employment report. An average 4.51% with a .8 point was seen with the 30-year fixed-rate mortgage (FRM), an increase from the previous week’s 4.29% and well above last July’s 3.56%. The 15-year FRM rose to 3.53% with a 0.8 point, from 3.39% and the average of 2.86% in July 2012. Slight increases were seen on the 5-year Treasury-indexed hybrid adjustable-rate mortgage (ARM) as well, which averaged at 3.26% with a average 0.7 point, versus the 3.10% rate last week and 2.74% one year ago. Surprisingly, the 1-year Treasury-indexed ARM remained unchanged since last week, with an average 2.66% (average 0.5 point), which was very similar to the July 2012 rate of 2.69%. View week to week comparisons for 2013 by visiting FreddieMac.com. You know what’s great though? Prices at the beach are!